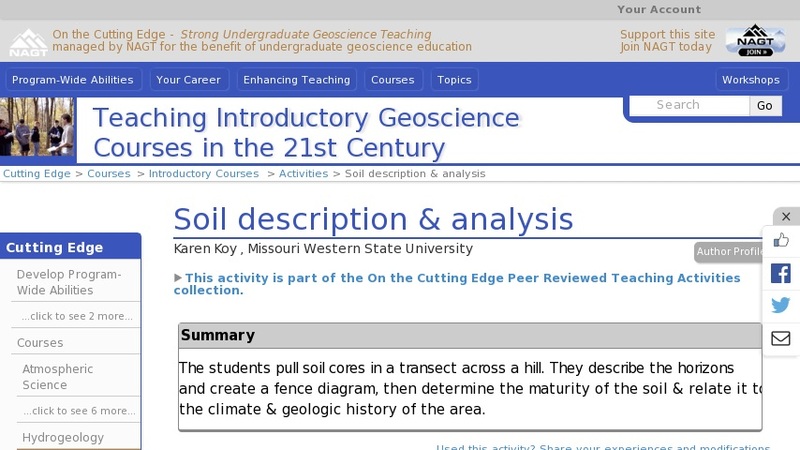 Students will have been through lectures on weathering & erosion, sediments and soils. Students go to the field and pull soil cores across a hill. They describe & measure the horizons, determine soil texture and structure. Using the data, they create a fence diagram and verbally describe what they see. Then they relate the changes in the soil profile downhill to climate, weathering, and the local geology. Students get to learn how to express information in multiple ways & make connections between "different" lecture topics, creating a continuity in the class.